I would just like to thank the creators from the bottom of my heart. This is a great course. I see some comments that it should also teach us how to deploy our own clusters etc. I do not agree. I think it is much more difficult to learn how to properly analyze data than learning technical stuff. Actually, Spark is very easy to set up and run, and if you ever get paid good money for something, it will not be setting up the system, but programming and analyzing. This is similar to setting up Linux: it will not earn you money, but using it will. Once again, GREAT COURSE! Looking forward to the next installment(s?). Hi When is the next run of this Series? or is there any other way that I can access the course materials. It seems the course have been archived for a very long time. when are we starting this course next? is there a way i can access the material otherwise, since i cant login to it. Really great introduction into Spark and helpful community. Great and understandable slides and really good labs building up upon each other. Only the AutoGrader and the different "Logins" were confusing at start. Nonetheless absolutely recommendable! The labs were great! The notebook format was great since the code was broken up into sections and allowed explanations/tests/visualizations as we molded our datasets. I loved the course databricks presented by Joseph. I scored 99% hence cannot complain. I am bit upset with EDX as I am not being able to my verified certificate as they a deadline for verified certificate request which is 10 days earlier that the course completion deadline. This is absurd hence a 3 star rating the provider "EDX". This course as well as the other courses belonging to the XSeries in Data Science and Engineering are among the best MOOCs in this field. Each of these courses have a very clear focus, the didactical concept is great, the explanations and examples in the lectures are well chosen and understandable. The programming homework are extremely well designed. Each lab exercise covers an interesting, up-to-date topic of practical relevance. I want to express my gratitude to the instructors and the edX-team for providing this great course. 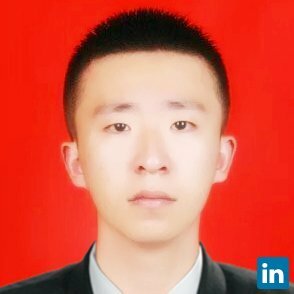 Thank You for giving the opportunity to learn pyspark. Course was good and I enjoyed the lab exercises. I'd like to thank and congratulate professor Joseph and team for a simply outstanding class - all the major points are made very clearly and the labs are beautifully designed. The care and attention to detail that has gone into this class is simply outstanding and sets the standards for everyone else. Thanks, again. This course gives you a basic beginning about Spark. Good place to get started, once you finish this please start reading the other advanced courses. This course is very interesting, I have learned a lot of fundamental concepts of Spark.The assignments are also very interesting. This course is worthy to be enrolled. Introduction to Apache spark provided an overview of using SQL akin function and manipulation to datasets using PySpark. Distributed execution of the examples happened under the hood with less appreciation of the distributed architecture. It would be more worthy to have examples which express the gain in execution speed via usage of multiple cores, which essentially is the driving force to use Apache Spark. Looking forward for these in further courses of XSeries. 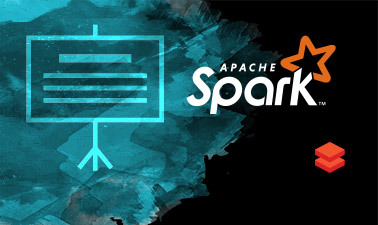 The course is simple and gives a perfect introduction to Apache Spark. I understood the workings of Apache Spark and this will help me efficiently design Spark programs. Recommend for anyone starting the Spark journey. The content of this course is very poorly designed. The whole course only consists of three lectures and each lecture has at most 30 minutes of video content which well below average time one finds in most rigorous courses. Even worse, the video lectures are very disconnected from each other and at the end, they do not really provide a clear vision of Spark architecture and how the user interacts with it via Python. The course is also highly priced for the verified version. One can simply compare this course with some other courses that are offered for instance on Coursera to see the topics are covered at much more length while the price is lower. The only relatively positive side of this course is the assignments. Although even the assignment can be improved significantly. Very nice introduction to Apache Spark using Python (PySpark), for those with some background in computer science or software development. Lectures are interesting, relevant and increase interest in learning more about Spark and Big Data processing. The labs are a good introduction to programming with the Spark API, although a larger project could help further learning if the class length is extended in the future, or for other courses in Apache Spark. It would provide insight required for the other series, I know it would be very educative. Anthony D. Joseph has proved to be a very great teacher. Good to see the course content, waiting for the course to start. Good to see the course content, waiting for the course to start. Good to see the course content, waiting for the course to start. Thanks - Syed. Good timing to pursue the course. Anthony is a good professor. I got to listen to couple of his other courses on edX. Thanks a ton and Good luck to everyone. This is very good introductory course on Spark. Apart from that this course can also be classified as good exploratory data analysis course. Both lab involved data cleaning, filtering, transforming and then exploring the data. Provides good documentation and tutorials to get stated with Spark. Pumped me up to take upcoming courses, and really with data science as a whole. - Amazing Labs - Extremely well organized lectures Cons: - Try to make Autograder process easy. If possible. First submission and setting up process is tedious. But rest assured is very good. Suggestions: - Please add more project. Need more experience with Hands On. Project should not guide us through the entire process after 2 labs, just give us a sample dataset to explore and create a notebook and submit. Let other students grade fellow student's work. This would be pretty good addition if happens in the course. Good course. Easy to understand lectures. High quality exercises. Probably would like to see more exercises even though there are a lot of them present :) Thanks for the course ! yes there course was really helpful but i will be more helpful if there any video record of the class. Thanks a bunch! waiting for the course really appreciate all your efforts.You are the best! !.Thanks a lot!! They are very good! I am very glad of I completed the MOOC. I reccomend the course to al the people that are interested on the subject. This one of the latest emerging technologies. I think this is a good course. It may help me a lot in establishment of my career. Thanks.